Ravi Shastri, the India Head Coach, said that Virat Kohli, contrary to his 'in your face' attitude on the field, was the "most pleasant person" off it, and called him the "perfect gentleman". 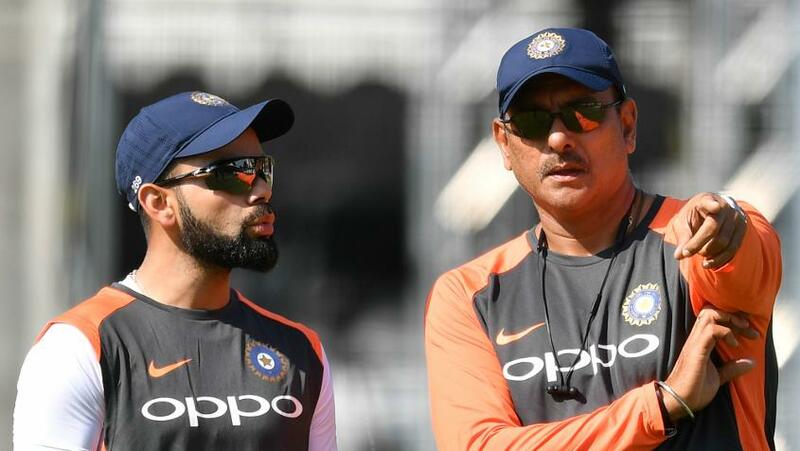 Shastri and Kohli have formed a formidable coach-captain duo, and were in the thick of things after India's first-ever Test series win in Australia. It was Kohli's third tour to Australia, and he became the first Indian captain in 71 years to win a Test series on Australian soil. "He has matured tremendously," Shastri said of Kohli in a conversation with former England captain Michael Vaughan for The Telegraph. 'He's still tremendous value to the team' – Sunil Gavaskar says MS Dhoni's importance to the Indian team cannot be calculated. "He is very caring with his team-mates and just a fantastic role model. I am lucky to be part of the dressing room and to see the greatest player in the world." Kohli has time and again spoken about the primacy of Test cricket, and why he considers the format to be the toughest to play. And Shastri believed someone of the stature of Kohli putting Test cricket on a pedestal helped the format grow in India. “To watch Virat and then MS do what he did at the end, it’s just a brilliant tutorial for our young batters." There's a reason Langer isn't bitter about the loss in the second #AUSvIND ODI. "In our country, where everything is driven by T20, IPL and one-day cricket, to have an individual like him put the onus on Test cricket more than any format of the game is massive because all the young kids want to emulate him," Shastri said. "If Virat Kohli said 'I am bored with Test cricket' you will see the impact it would have on the game, especially in India. For him to enjoy it, and enjoy the things that go with Test cricket, like the pressure an individual feels during a Test match, is great." Shastri rated the 2-1 Test series win in Australia as the best series he's been part of, rating it higher than India's maiden World Cup win in 1983. The ICC Men's Cricket World Cup 2019 is around the corner now, but Shastri said there was no one team that could be classified as favourites. The hosts England, though, have every chance to lift their first World Cup this year, Shastri said, and added that the current side was "the best England team I've seen". "They have been focussed in picking players who are good in that format of the game and will take their chances from ball one to dictate terms to the opposition," he said. "We saw England last year in England and they had depth in batting and a lot of players who are multi-faceted. They have five or six guys who can be called upon at any time to bowl and that is what you want."